I wanted to find more crazy Christmas lights so I had to do what I had to do. Google. I just did some Googling and found the house. 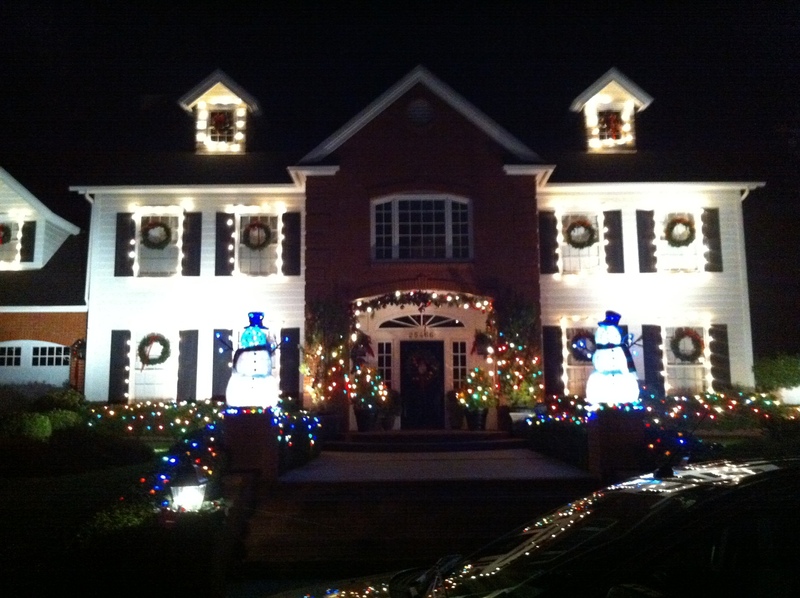 I have to say that Christmas Lights #3 is definitely the winner out of the three. The house plays mainstream music and of course some classic holiday ones too. The lights are just ridiculously ridiculous. You’re basically watching a concert in front of this house. The owners of the house has volunteers who give out hot apple cider and some mini donut looking but funnel cake tasting pastries. They have some chairs for people sit and a little bonfire pit to keep people warm. Below is a picture of how crazy the lights go. 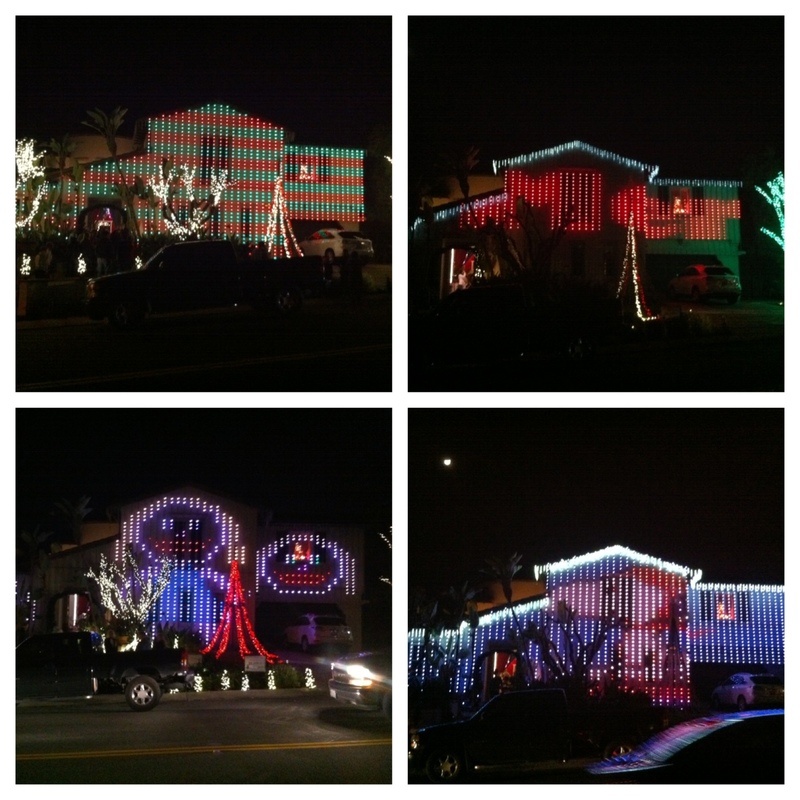 They had holiday patterned lights (top left), phrases like Merry Christmas (top right), Carly Rae Jepsen singing Call Me Maybe (bottom left), and Snoopy (bottom right). Not only were people allowed to hang outside and watch the lights but also go inside the house! 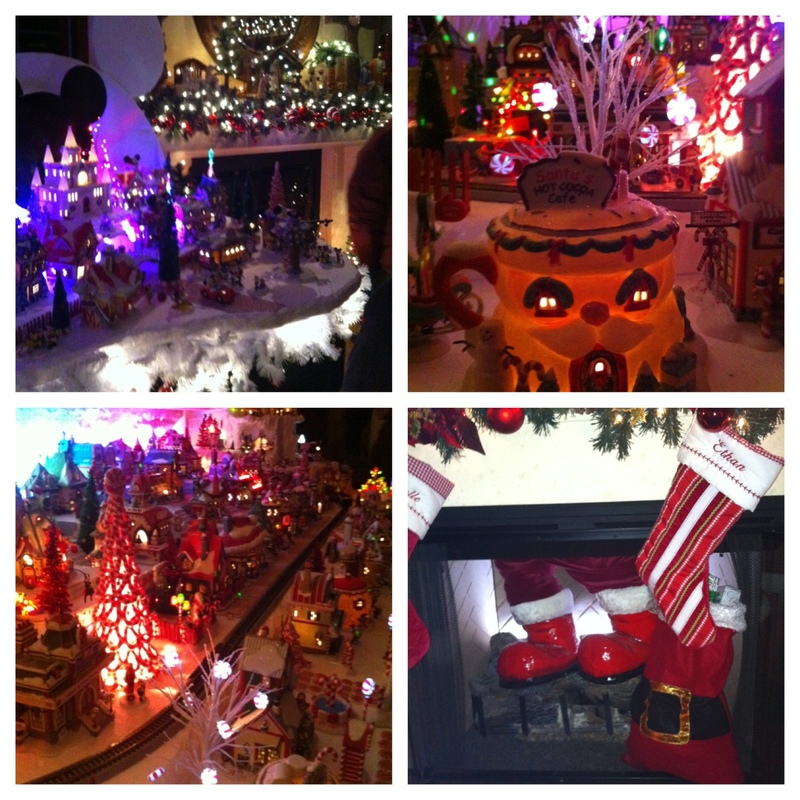 The house inside is almost like Christmas Lights #2 in Tustin with all the little figurine displays. The house was basically a winter wonderland. They had various themes going on throughout the whole house. 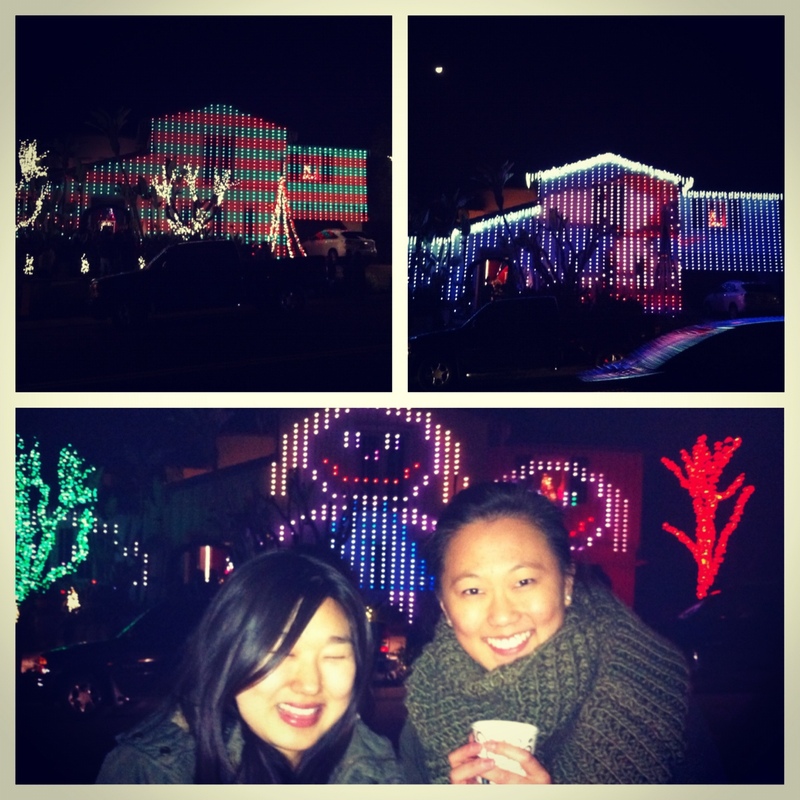 After watching the light show and doing a tour of the house inside, Dasom and I walked back to the car. As we were walking, we saw this house! The house looked like it was in a movie! It was fun driving around the neighborhood because the houses were huge and beautiful! If you want to see this house, it’s in south Orange County. The address is: 25473 Nellie Gail Road in Laguna Hills. It’s really close to the Oso exit on the 5 freeway. Just a heads up, don’t drive into the street where the house is located. Park before or after the street the house is located. Driving on that street will not be fun since it’ll be crowded with people watching the lights.